Order is important to animals. They understand dominance and are not offended by it the way our egalitarian culture would be. Carter, our great Pyrenees, is a docile couch potato, until a potential predator comes around. He knows who belongs here and will enforce the boundaries that he has set for entry onto the farm by other animals. Cole, our grandson, used to take great delight in giving Carter commands and watching him obey them… sort of. Only in the movies do animals obey commands with the precision of a Marine. On a real farm one has to learn territories, mating rituals, “predator-prey” relationships and schedules that often take priority over your wishes. I learned this the hard way once when I fenced in a bull that was interested in mating. He gave me an incredulous look that said “are you really that stupid?” He then charged the fence and tore the woven wire from its posts in about 3 seconds. Disney has so anthropomorphized animals that we attribute many human behaviors and motives to them. On a farm that can get you hurt. Bulls do not want to be your friend. If cows see you as a source of food that they will knock you down to get it, if you have not established boundaries for them. 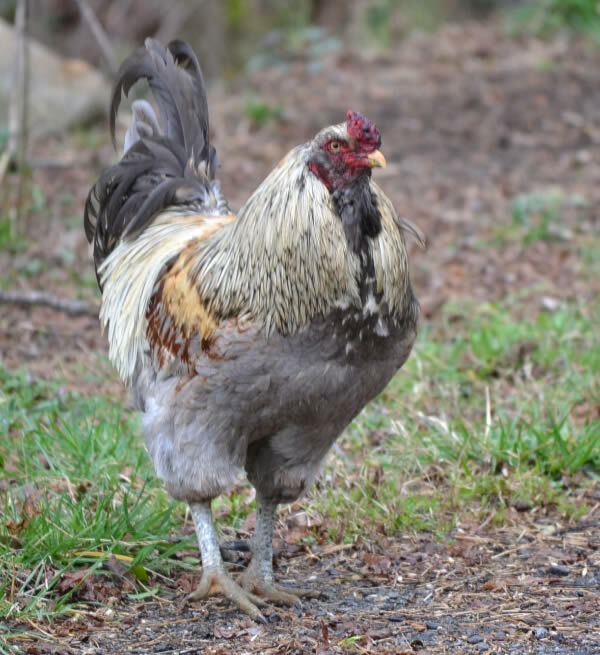 Roosters are territorial and more than one has “gone to be with Jesus” when he attacked me from behind with those sharp spurs. Although Chelsea, our Huskie, was an obedient dog, with an obedience diploma to prove it, it was impossible to break her from wanting to kill the chickens. For her they were what we called a “Monk Moment”. She had OCD about chickens and would work herself into a froth to get at them. So, when you take your kids to a farm, make sure they know it’s not a petting zoo. Don’t let them run loose, keep fences between them and the animals and don’t try to feed the animals, unless a “boundary setter” is there with you. You do know they weren’t just sitting there waiting for you to feed them…right?